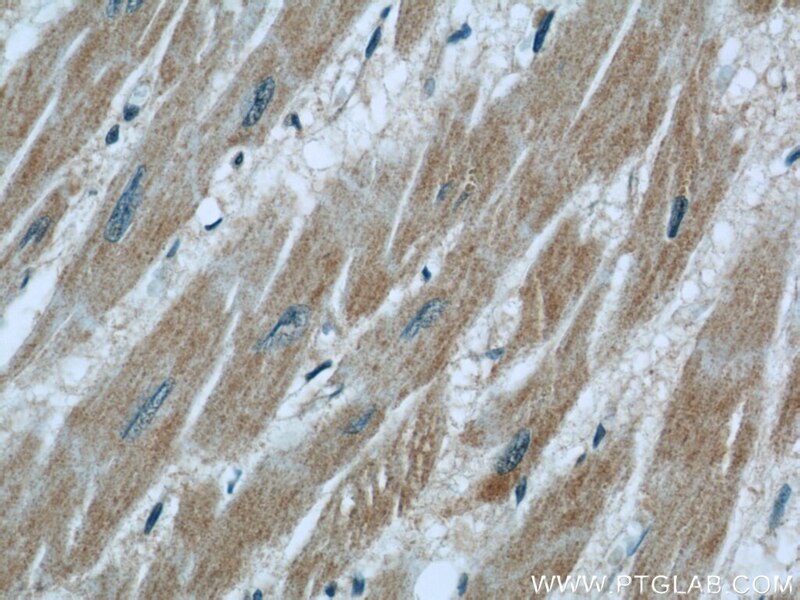 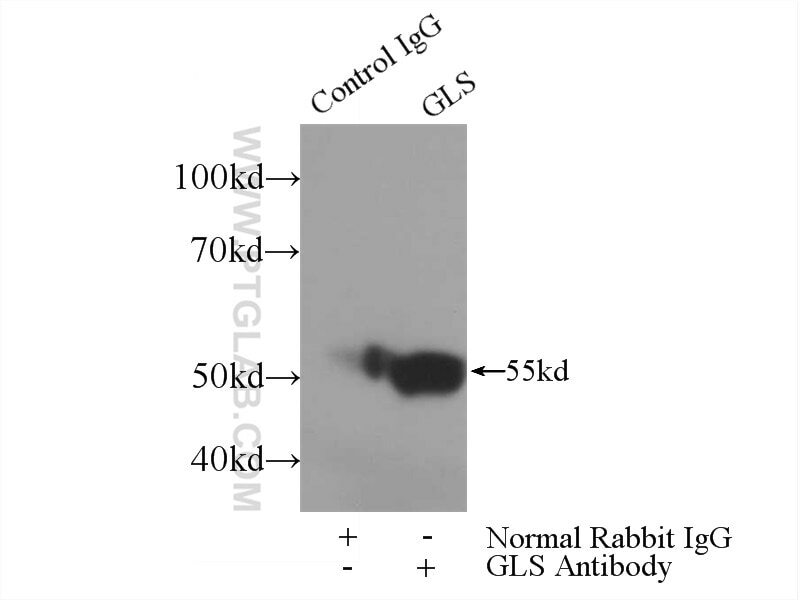 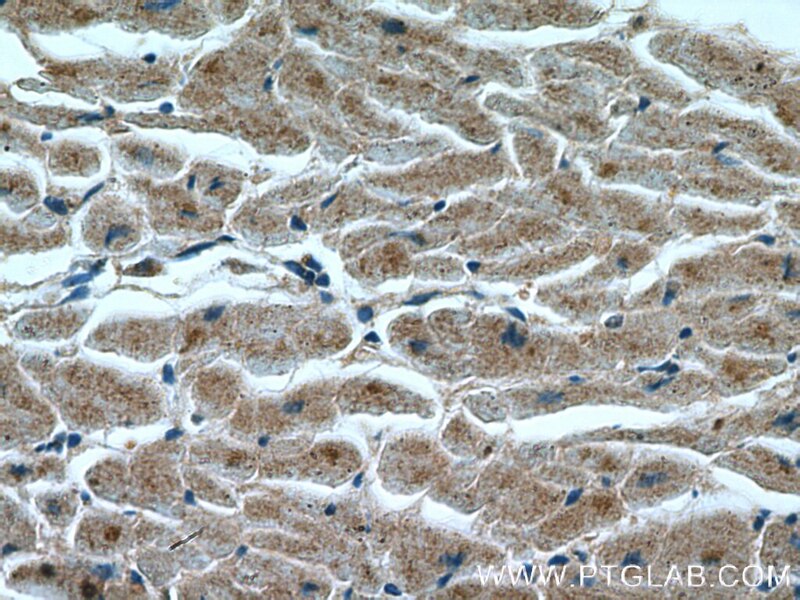 Immunohistochemical analysis of paraffin-embedded human heart tissue slide using 19958-1-AP( GAC-specific Antibody) at dilution of 1:200 (under 40x lens). 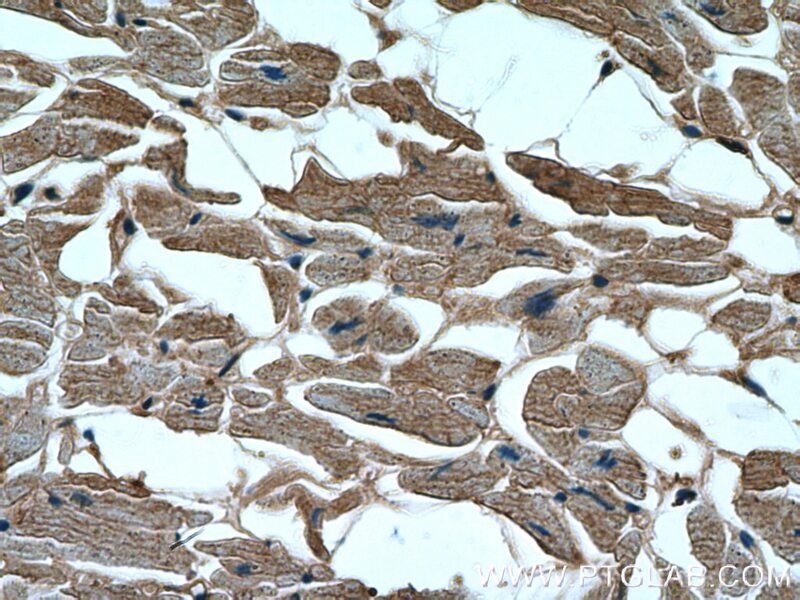 Immunohistochemical analysis of paraffin-embedded human heart tissue slide using 19958-1-AP( GAC-specific Antibody) at dilution of 1:200 (under 10x lens). 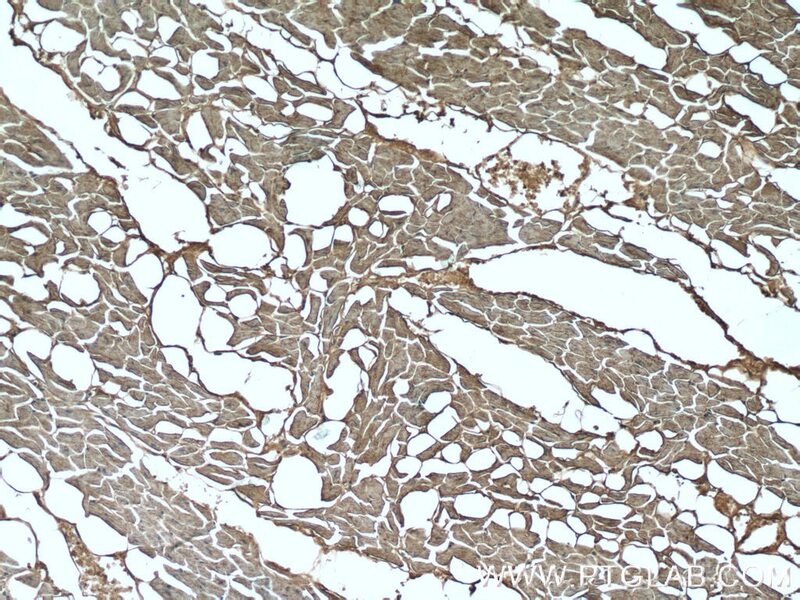 Immunohistochemical analysis of paraffin-embedded human pancreas cancer tissue slide using 19958-1-AP( GAC-specific Antibody) at dilution of 1:200 (under 10x lens). 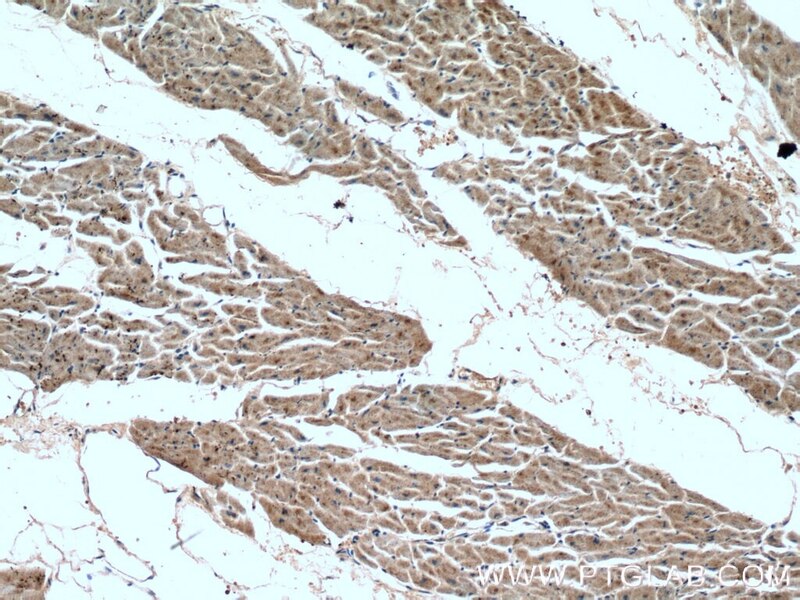 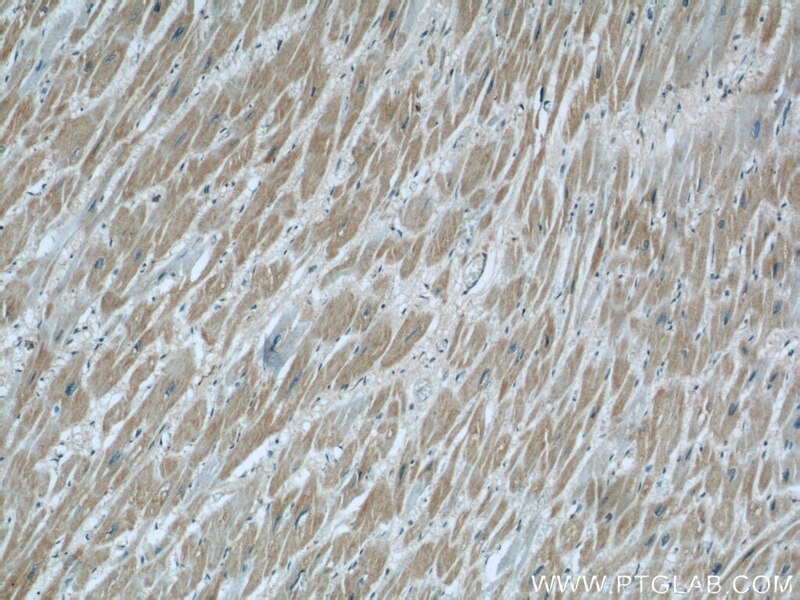 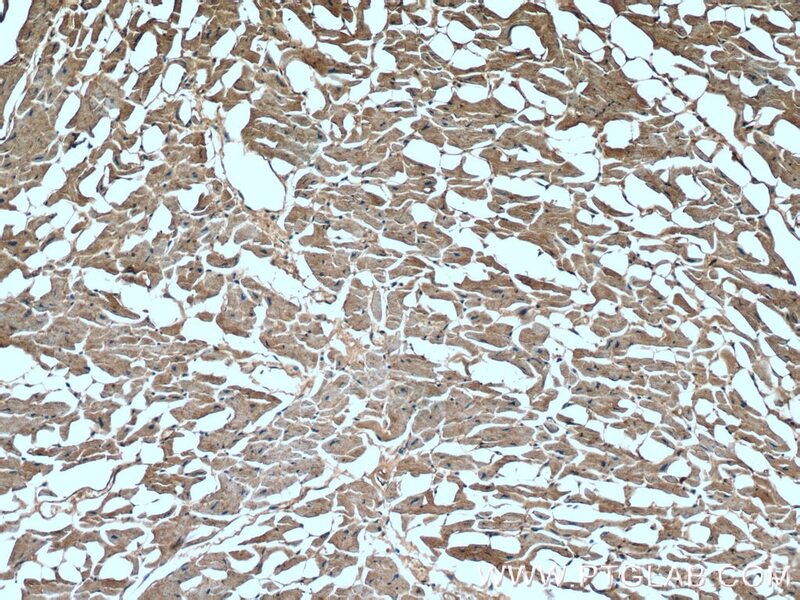 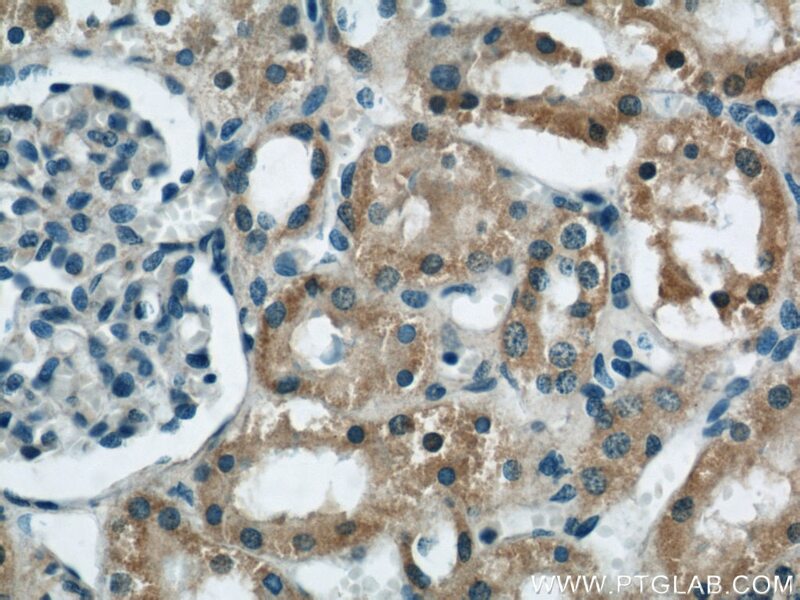 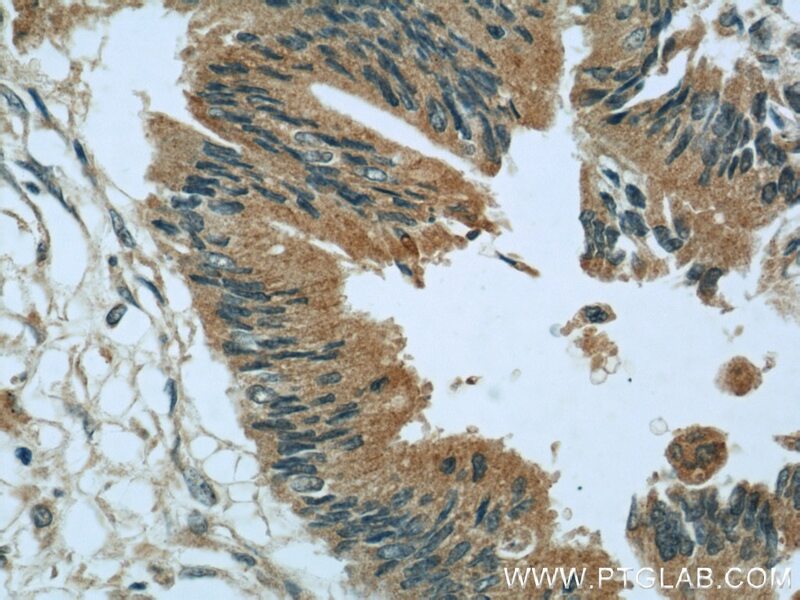 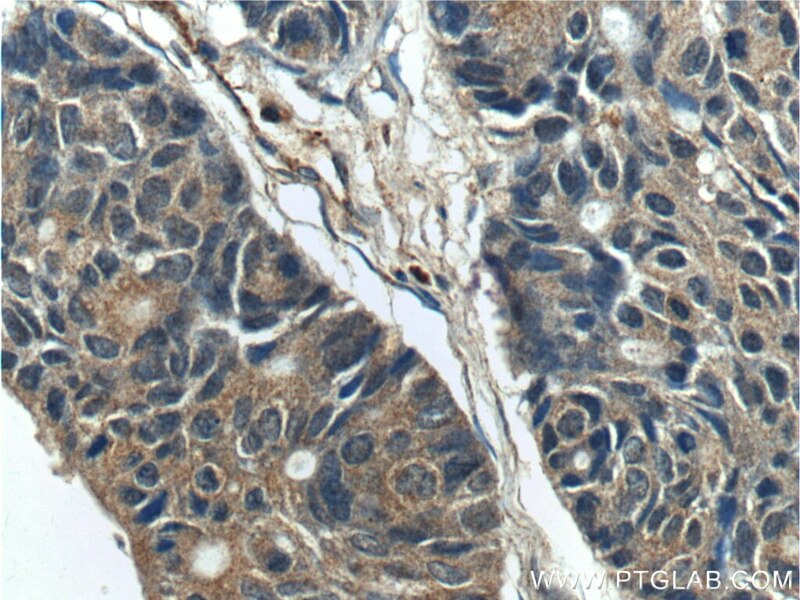 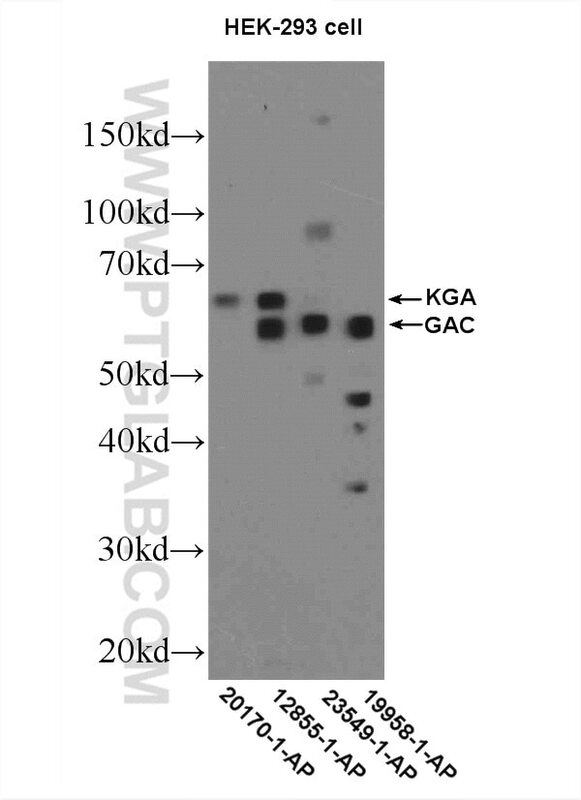 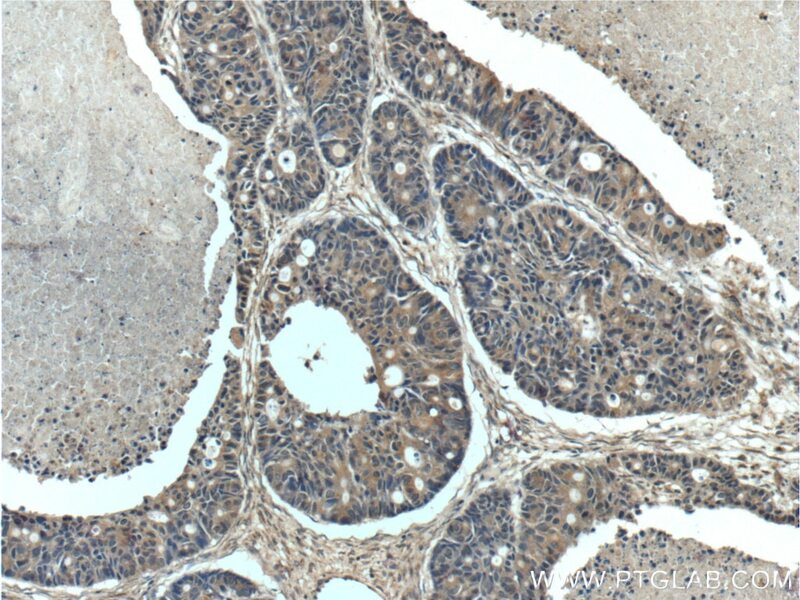 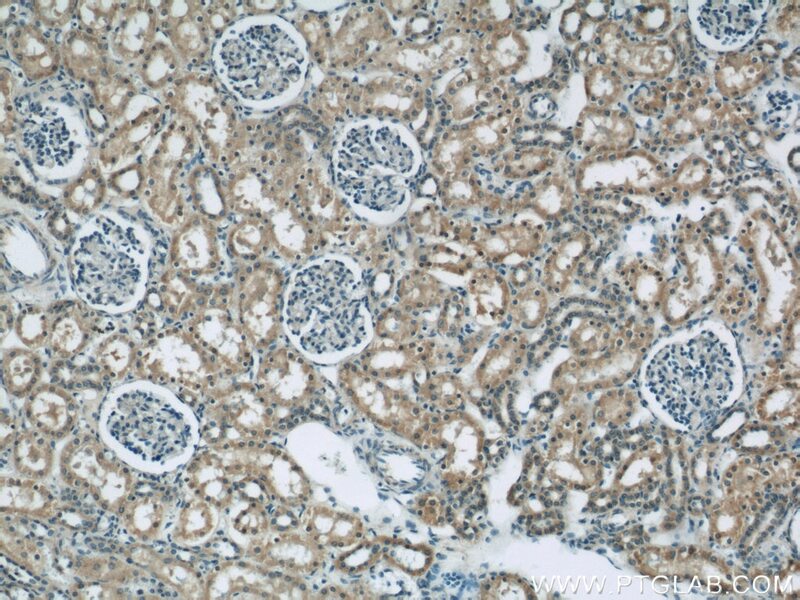 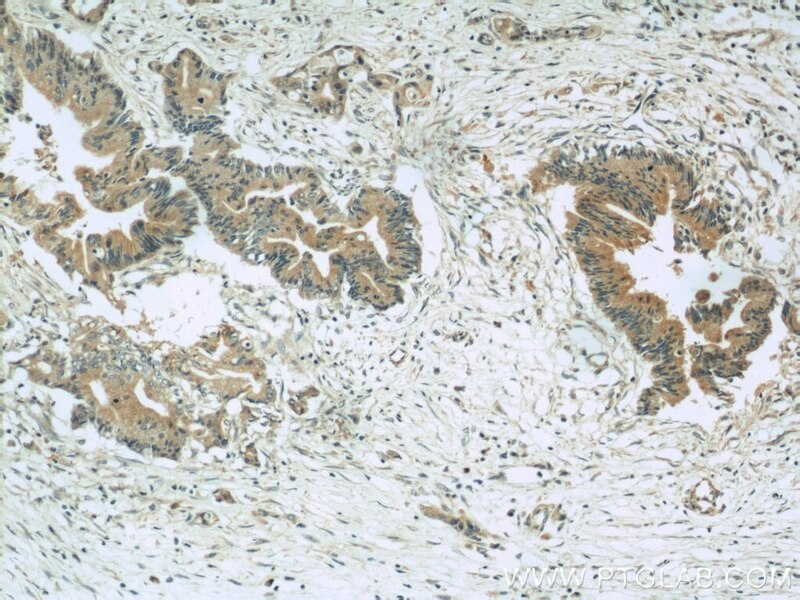 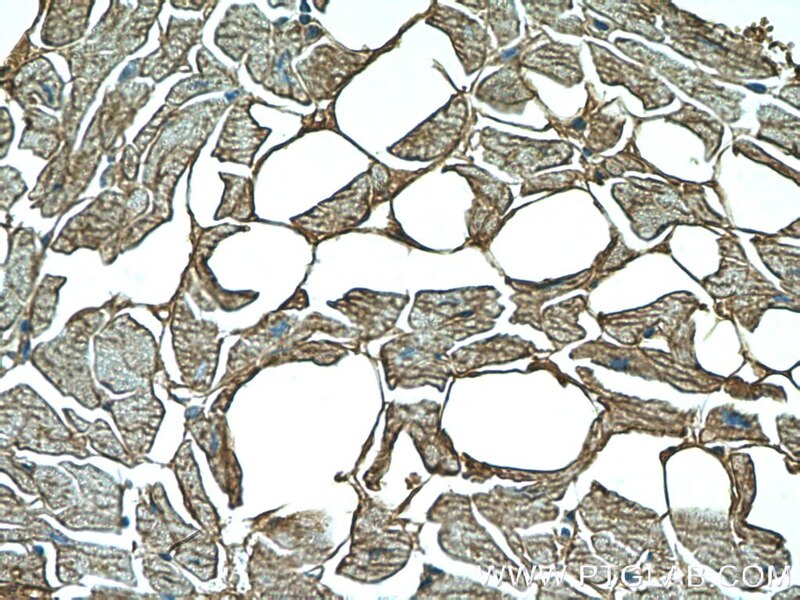 Immunohistochemical analysis of paraffin-embedded human pancreas cancer tissue slide using 19958-1-AP( GAC-specific Antibody) at dilution of 1:200 (under 40x lens).